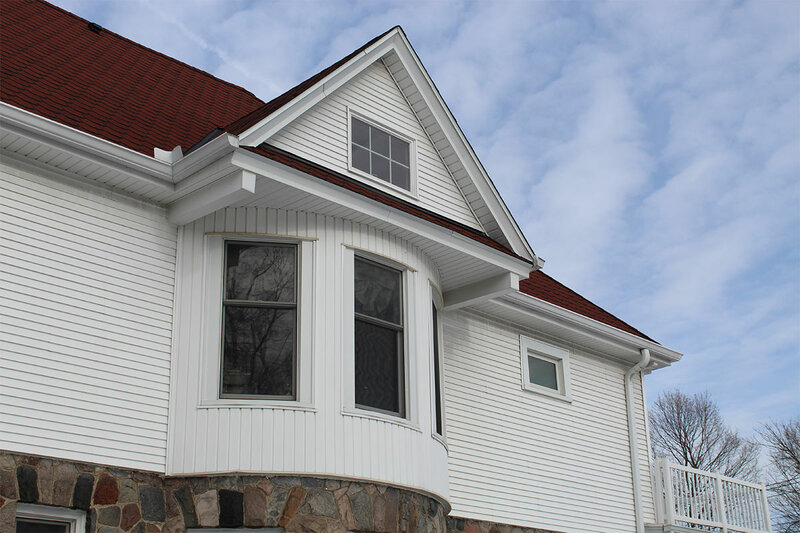 BCI worked with Gabor Design Build LLC to update the exterior on this 1908 home in Brookfield. An addition was constructed on the back of the house to add additional space for the owners. New Mastic Quest white vinyl siding was installed on the addition as well as the existing house for a consistent appearance. New soffits and gable vents were also installed to ensure proper ventilation in the house’s attic.